We would like to welcome our one and only sister club RedSpirit RC. A riding club for Indigenous minded Women. We look forward to sharing the road ways of planet Earth with our RedSpirit Sisters. REDRUM Motorcycle Ride For Peace and Harmony May 6th from the United Nations to the Chaug Yen Monastery in Carmel NY. REDRUM Motorcycle Club®, the Native American skull logos and patches® are registered trademarks owned by REDRUM Motorcycle Club® in the United States and other countries. 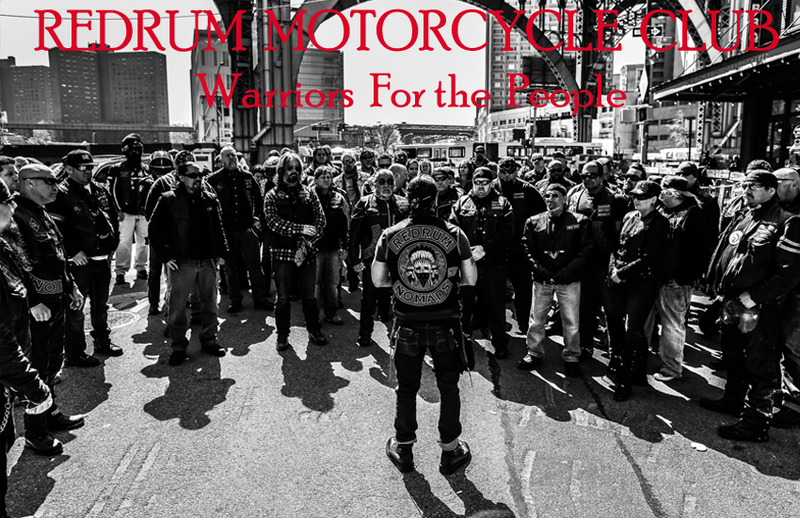 All logos, photos and designs of REDRUM Motorcycle Club are owned by REDRUM Motorcycle Club and trademark protected according to international law. Copying and other use is not permitted.